There’s a one-of-a-kind gallery near Toronto’s Broadview subway station where visitors can appreciate museum-quality photographs of Canadian ice huts. 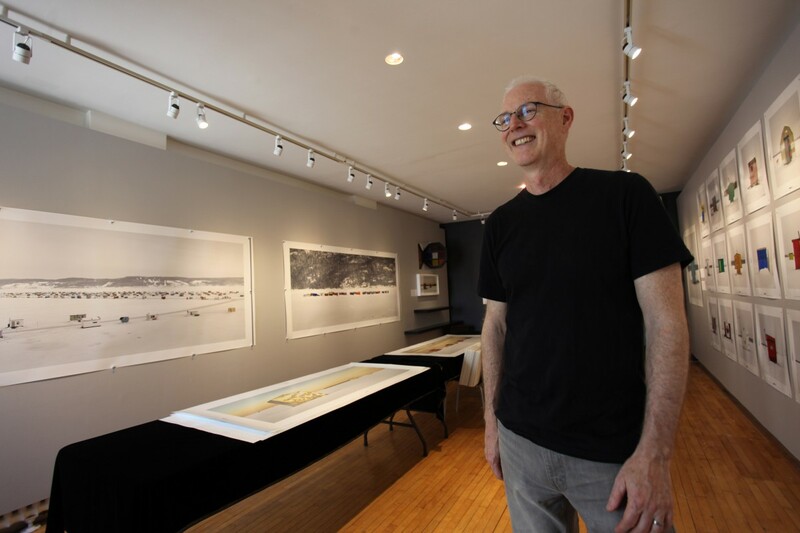 Those who meander into the Richard Johnson Gallery will find the gallery owner’s enthusiasm to be contagious and his photographs captivating. To house his artwork, Richard chose a building that dates back to about 1900 and was included as a venue in the 2016 Toronto Doors Open. 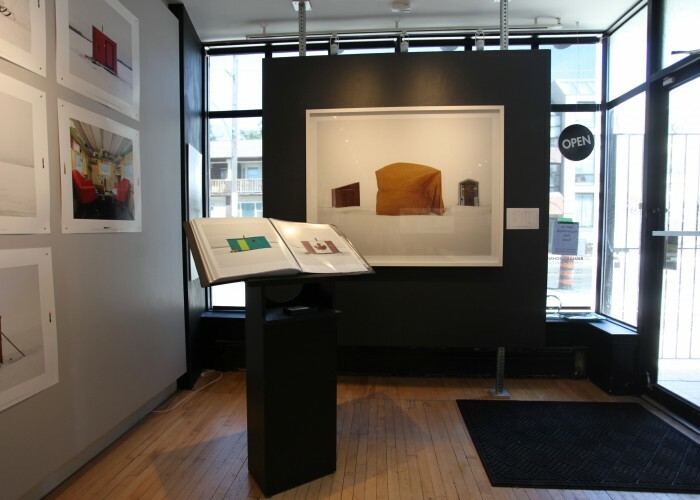 The location features offices on the first floor, printing equipment in the basement and a moderately sized exhibition space for Richard's photographs. Besides buying photographs of ice huts to collectors and museums, customers can also rent or buy the photos to stage real estate. Richard is also available for traditional architectural photo shoots. 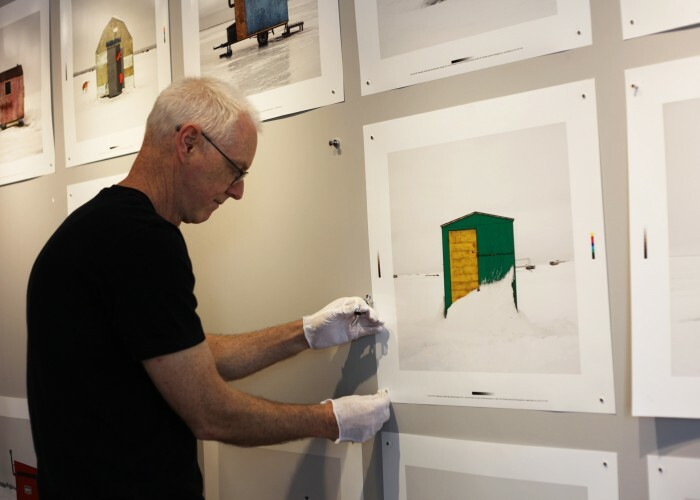 Having photographed ice huts in 10 provinces (and with the territories still to come), Richard has much to say about ice huts. “They’re not attached, just four walls, like a womb.” Huts are portable, as they must be removed before the ice melts. Some are trailers, tents, or wooden boxes – store-bought or home made, rental or owned." And while people aren't visible in his artwork, their spirit is. “You know about people from the colours they choose, how they care for and decorate their property, how the property weathers," explains Richard. "It’s like a lighthouse that represents them." While some locations feature isolated huts, ice villages may have a few hundred, with ice roads, street names, hydro and even a restaurant. “It’s more than ice fishing," Richard describes. “There’s snow sculpture, ski-doos, hockey rinks, and kite skiing. It’s outdoor recreation for whole families.” The village series photos are panoramas that are beautifully printed and eight feet long. 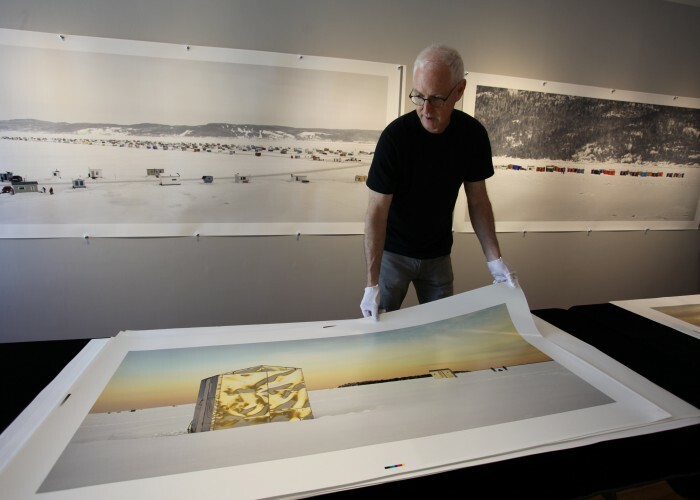 At Richard Johnson Gallery, the village series photos are panoramas that are beautifully printed and eight feet long. Richard's services go beyond the exhibition of the architecture of ice huts; he is also a respected architectural photographer specializing in high-end commercial assignments for designers, architects, and retail business owners.